A committed, analytical divorce lawyer, Robert Bennett is dedicated to producing results for his clients. He uses a tactical eye to find the best angle to approach each case. With his strong litigation skills, he is a valuable member of the Goldberg Jones team in Seattle. Prior to shifting his focus to family law, Robert worked in international commercial arbitration, a trade that took him overseas. Living abroad for 18 years, where he practiced for seven, Robert gained a unique perspective and honed his ability to communicate effectively with clients from varied backgrounds. It also provided the opportunity to become fluent in both German and Swedish. A former member of the United States Army, and decorated veteran of the Gulf War, Robert was born and raised in Washington. He attended Washington State University as an undergrad, and received his Juris Doctor from Seattle University. He subsequently earned his Master of Laws from Stockholm University in Sweden. 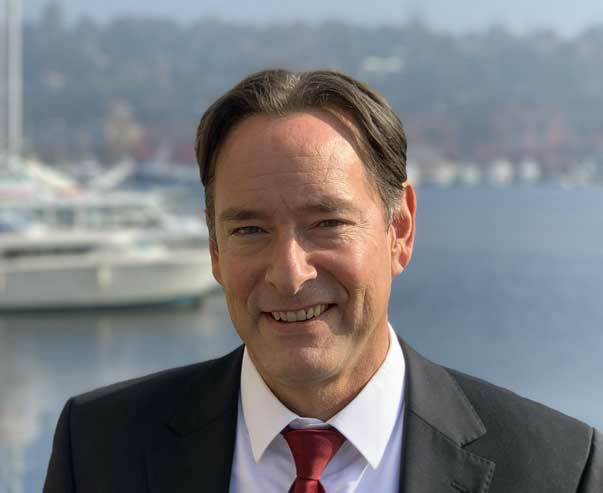 When not fighting for the rights of his clients, Robert can be found spending time with friends and family; gardening, skiing, or otherwise enjoying outdoor life in the Pacific Northwest; or watching the Seahawks and Cougars. He’s an important piece of the Goldberg Jones family and an asset to the husbands and fathers of Seattle and the surrounding areas.